We strive for religious equality and freedom of religion at all of our Child Haven children’s homes. It is one of our core Gandhian values. We believe wholeheartedly that all religions are equal and that our children and staff should be able to practice and express their faith openly and freely. We are proud to have children and staff who identify with every major religion and nowhere is that diversity of religions greater than in our home in Chittagong, Bangladesh. 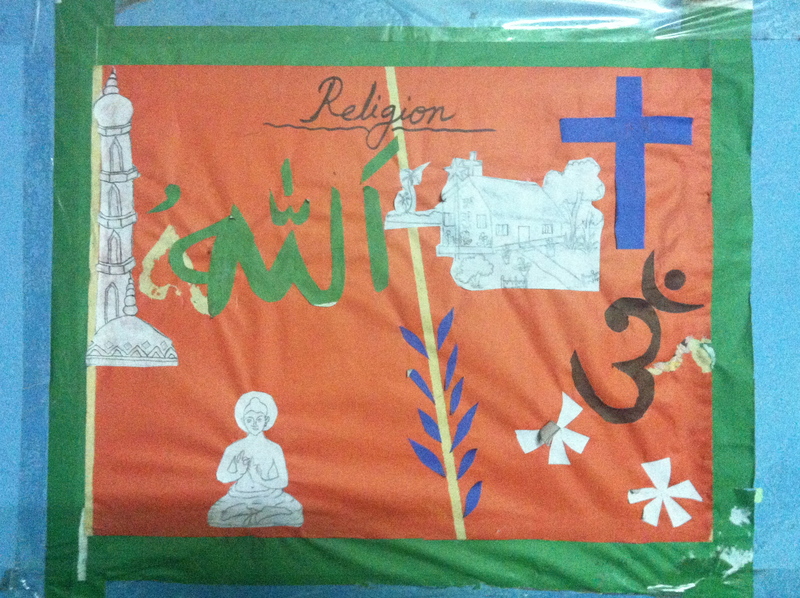 This is a poster made by some of the children in the Chittagong home. It shows symbols and sacred monuments from different religions. 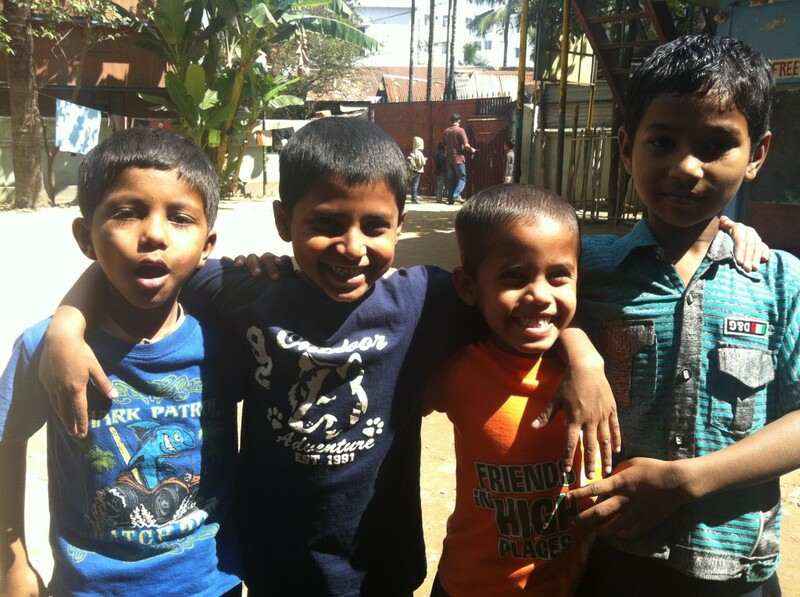 Child Haven’s work in Bangladesh began in 2002. In the wake of the 9/11 bombings in New York, we felt it was important for North American’s to have a greater understanding of people of a Muslim culture. We believed that setting up a children’s home in a predominately Muslim country would be our way of helping others understand acceptance. While most people in Bangladesh identify as Muslim, there are also many people who are Hindu, Buddhist, Christian, Sikh, Jain, and others. There are also large populations of Tribal people who share Animalism spiritual beliefs. Shatumoni covers her head with a scarf during prayer time and when she goes outside of the home, as do many Muslim women and girls. Religion is closely entwined with culture and can be expressed in many ways. 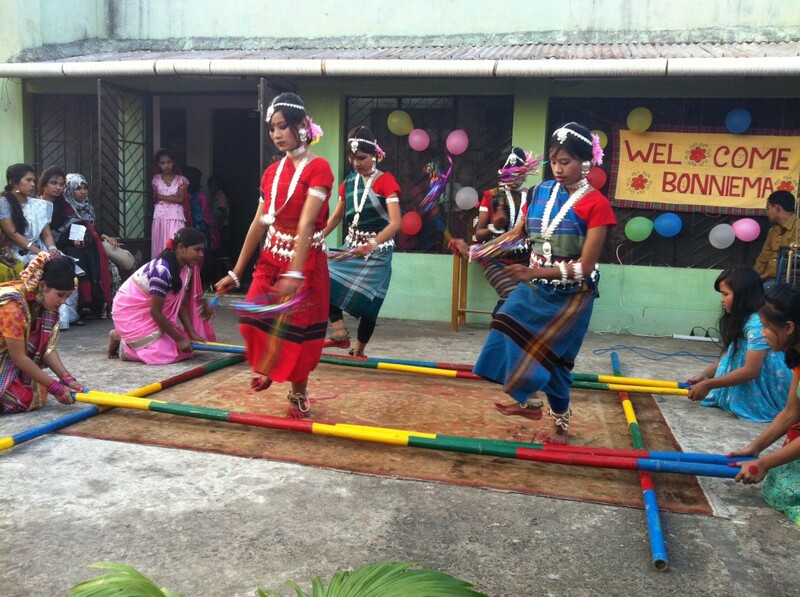 Here we see some the Tribal children performing a tradition bamboo pole dance. We try to help our young people learn and explore their own religion and culture. They are encouraged to visit the sacred gathering places of their own religion, such as mosques, churches, and temples. We have a religion teacher who comes to the home several times a week to aid in this as well. 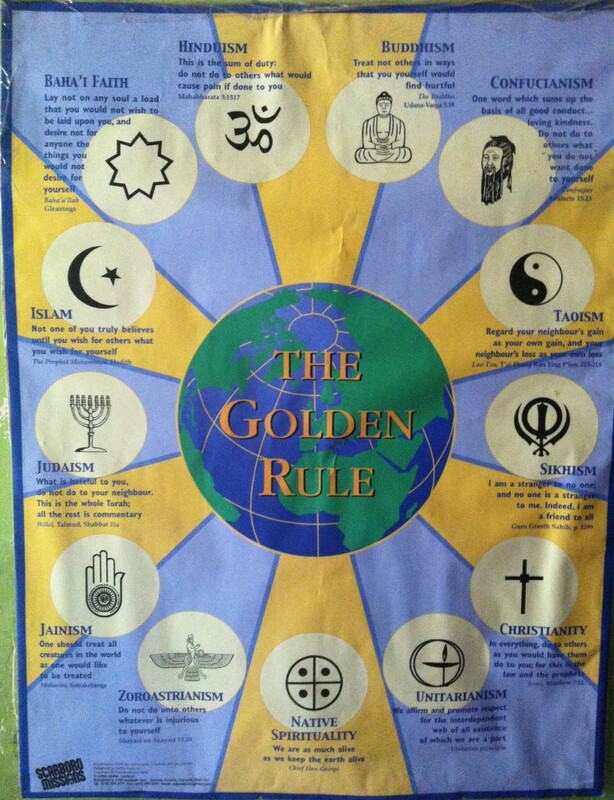 This poster is placed in all of the Child Haven homes to help celebrate our religious diversity and to remind us that all religions share some core values and beliefs. When these boys look at each other they don’t see a muslim or a christian or a hindu or buddhist – they simply see a friend. We could all learn a thing or two from Bangladesh. These children know what truly matters – that we are all human and that we all need love. This entry was posted in Bangladesh on March 3, 2014 by CHI.